We are committed to close customer relationships, high quality craftsmanship, as well as honest and fair treatment. Our customers leave satisfied with quality work at a fair price. 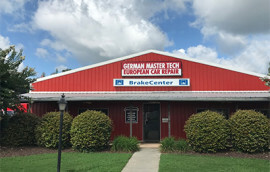 German Master Tech is an independent, German-trained Automotive Repair Center. 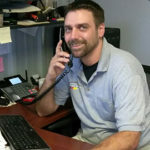 We are an independent, German-trained Sprinter Repair Center. Currently serving 200+ Sprinter customers in the Atlanta area and across the Southeast, our expert knowledge will ensure your Sprinter is serviced and repaired in a manner that exceeds standards. 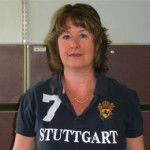 German Master Tech’s staff has German trained and German Certified Master Technicians. 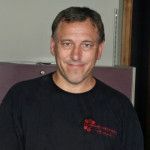 Repairs, maintenance, inspections and more. 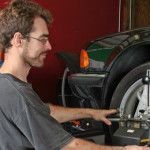 German Master Tech is an independent, German-trained automotive repair center committed to quality mechanic services at fair prices. We take pride in close customer relationships earned through honest and fair treatment. GMT specializes in European car repair including Audi, BMW, Fiat, Mercedes, Porsche, Sprinter, Volvo, and Volkswagen. Located in Alpharetta off GA 400 and HWY9. As the owner of Hometown Home Health, I wanted to say “thank you” for the repair of our Sprinter van. It is always refreshing to find a business that is run with honor and integrity. I know that it was an unfortunate oversight that caused the electronic issues with the vehicle but your response was a blessing to us. If I ever have an opportunity to recommend your company to any friends or associates, feel confident that I will give my highest praise of your business. The customer service is amazing, very nice people that do FANTASTIC work! very pleased with my experience. Fast and won’t break the bank, I will definitely be coming back!!!!!! Andreas & Marc seem to be great guys & very honest people. Very knowledgeable & very straight up guys! They don’t fix things that do not need fixing like other shops will do I will be taking all 3 of our vehicles to Andreas from now on. Great experience! Fair prices, and excellent work! I was from out of town and had problems with my GTI, so I brought it to their shop. I explained my situation, and because I needed to get back home in a hurry, they made my car a priority, and got me back on the road in record time! Very knowledgeable and friendly!